Surrounded by the trees and nature, Laxmi Niwas Palace is a place to catch-up with the nature. One can visit different places around the palace that include Keoladeo National park, Fatehpur Sikri, Deeg Palace, and many more. 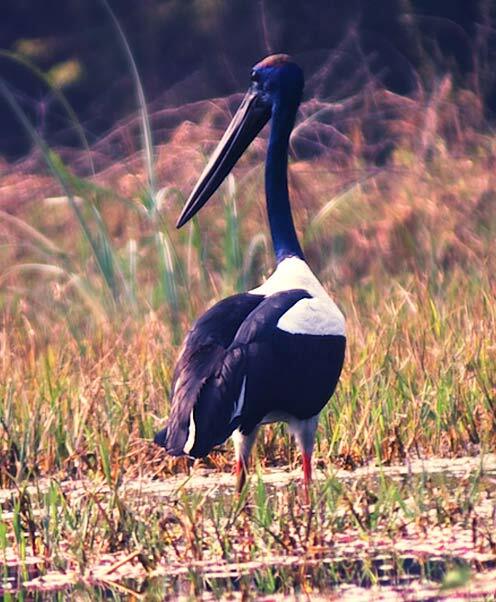 Take a sneak peek into the natural habitat of over 350 species of birds at Keoladeo National Park. 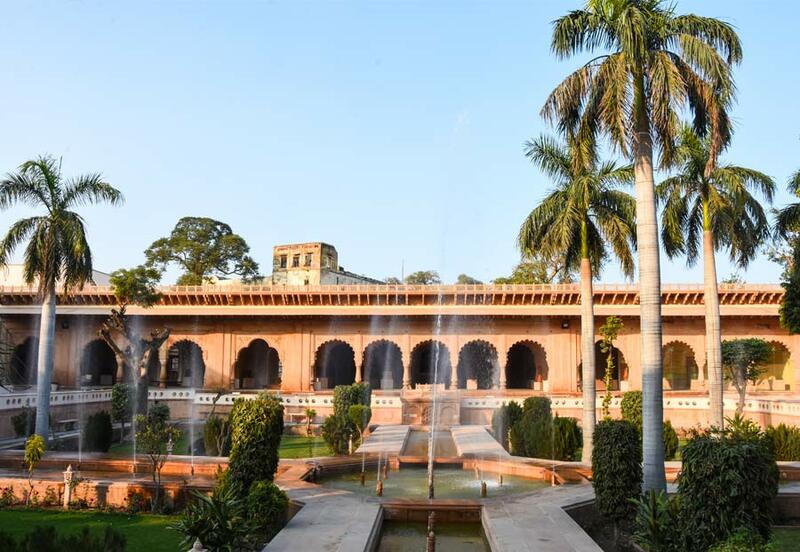 Visit Laxmi Niwas Palace and get acquainted to the beauty of Bharatpur. ground. Not only birds, the national park is a host to 379 floral species, 50 species of fish, 13 species of snakes, 5 species of lizards, 7 amphibian species,7 turtle species, and a variety of other invertebrates. 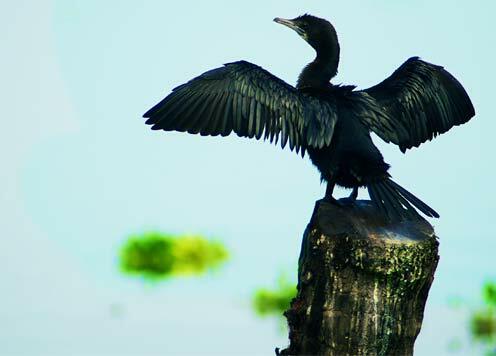 It is one of the richest bird areas in the world and also known for nesting of its resident birds and visiting migratory birds including water birds. Bharatpur is a hidden gem which brings the royal beauty and architectural details worth appreciating, one such place is Bharatpur museum. It is also situated in the heart of the city and is accomplished by a number of armors used by the kings.The place has beautiful structure of 46 pillars at the top of the museum which allows one to see the whole Bharatpur. The museum is situated at a distance of 4 kms from the Laxmi Niwas Palace. It also shows a variety of local artifacts, including stone sculptures, coins, weapons, and paintings. 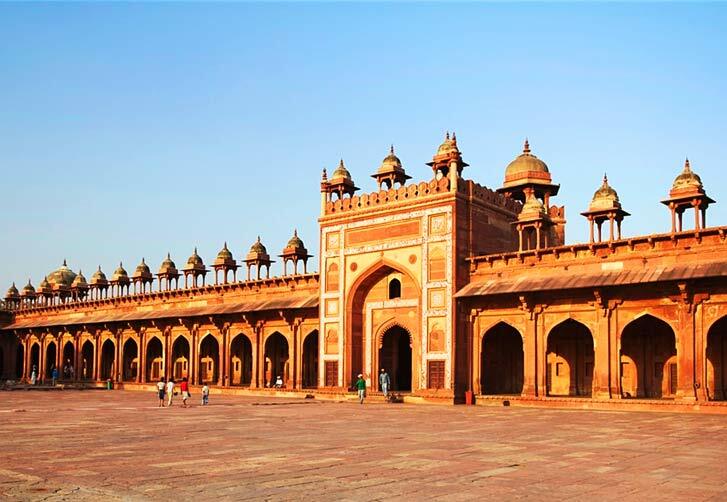 Built during the 16th century by Mughal Emperor Akbar, Fatehpur Sikri is about 22 kms away from Bharatpur, was the capital of the Mughal Empire for 10 years. It is a popular tourists and archaeologists place and among one of the World Heritage Site in India. One can witness the grand fort and beautiful monuments which are a blend of Mughal and Persian architecture. The major monuments are filled with architectural treasures which are truly magnificent and are in excellent state of preservation. 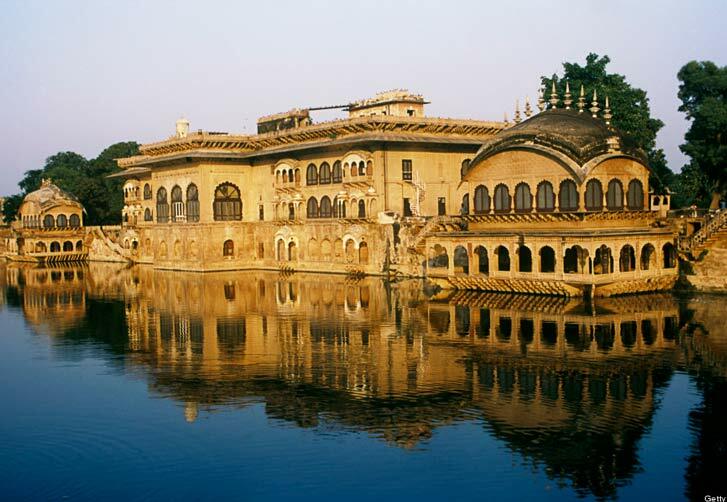 Deeg Palace, as it sound, is, 32 kms North from Bharatpur, a magnificent palace with beautiful gardens. The gardens have been laid with great care and precision, the sparkling fountains and meticulous palaces add to the beauty of this idyllic retreat. It used to be the first capital of Bharatpur state which is now renowned for the colored fountains. The Deeg Fort, built by Raja Suraj Mal, is surrounded by impressive moats, ramparts & gateways, the interiors are mostly in ruins now, but the watchtower still stands in the ruins keeping an eye over the City and Palace. Laxman Mandir is one of the most prominent temples in Bharatpur situated in the heart of the city. The temple is said to be, almost 400 years old which stand in the middle of the main market area, established by Naaga Baba. It is beautifully architectured in Rajasthani style and visited by large number of devotees. Made of sandstone and white marble, it is a home to Astdhaatu idols of Laxman ji and Urmila ji. The temple are easily reachable from any part of the city by a cab, a cycle rickshaw, or a tonga. Lohagarh Fort, also known as Iron fort, was constructed by Bharatpur Jat ruler- Maharaja Suraj Mal. The inaccessible Lohagarh fort withstood repeated attacks by British forces. 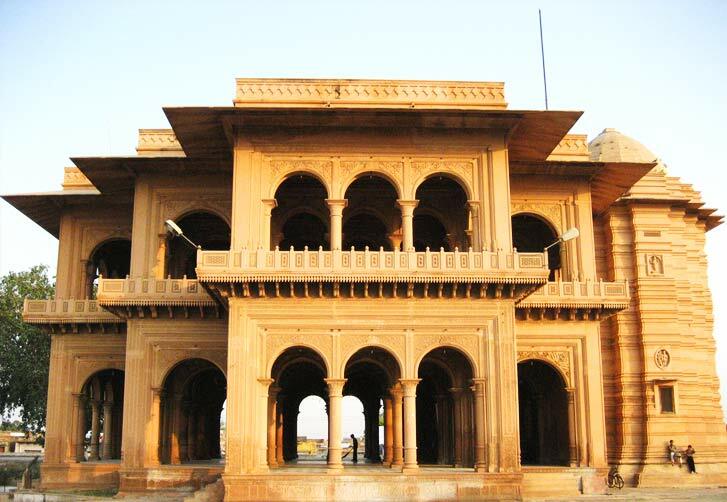 Lohagarh is a monument worth visit while on tour to Rajasthan. 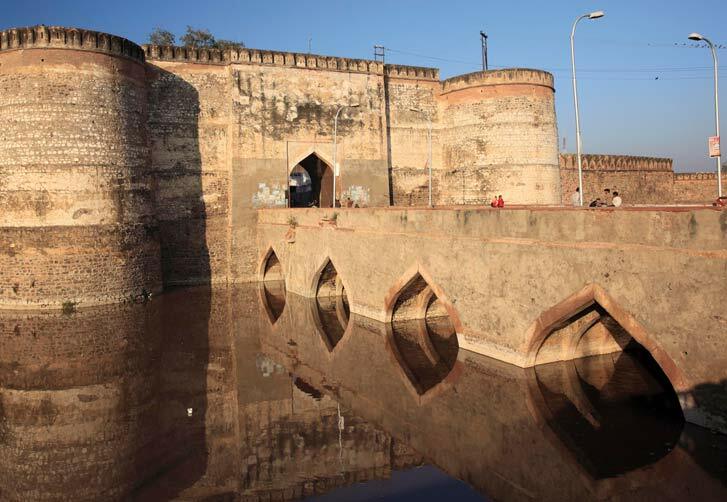 The fort stands proudly, as a living testimony to the chivalry and courage of the Jat rulers of Bharatpur.